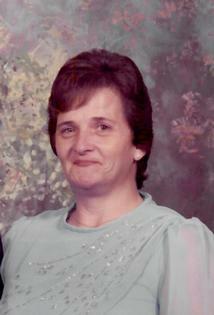 Brenda Cox Knight Eddy, 75 of Pittsboro passed away Friday March 29, 2019 at her daughter’s home surrounded by her loving family. A Celebration of Life will take place on Sunday March 31, 2019 from 4:00pm to 5:00pm at First Wesleyan Church in Siler City. She is survived by her daughter Jessica Knight O’Hara and husband Rick; daughter in law Mary Elizabeth Knight; five grandchildren, Camen, Michael, Micaiah, Creah and Joseph.